At ROCHE+ROCHE Landscape Architecture, we create quiet landscapes of subtle beauty. Our landscapes are designed to enhance the restorative effect of a subtly shifting natural environment, a phenomenon known as “soft fascination.” We practice the mantra of ‘unify…simplify…amplify’, editing out the unnecessary and celebrating the distinctive and powerful. We invite our clients to engage in a design relationship that begins the day we meet, and continues through design, construction and beyond, to ensure the long-term success of their landscape. We take the time to understand the inherent character of each site, studying the existing features, views, drainage patterns, climate, soils and vegetation. Then we apply sound environmental practices to ensure sustainable designs that create habitat and encourage beneficial wildlife. We collaborate with talented architects, interior designers, engineers and builders to create seamless environments that reflect the architecture and respect the site. We bring our rural contemporary vision to projects throughout Northern California, ranging from residential estates to wineries and resorts. David Roche, ASLA, Landscape Architect, CLA #3355 is a fourth-generation northern Californian, raised on the beaches, foothills, streams and mountains of his home state. Dave studied Landscape Architecture at U.C. Davis, and in Cortona, Italy, before practicing in Boston, Oakland, Half Moon Bay and Yountville. He has designed and managed estate, multi-unit, hospitality and resort projects throughout California, and in Texas, Utah and Minnesota. Dave leads the schematic design, design development, and construction documentation processes, and shepherds projects through construction. 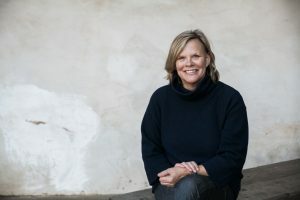 Nancy Roche, ASLA, Landscape Designer, Horticulturist is an Illinois native, where she earned a Bachelor of Science in Agronomy with a major in Soils Science at the U of I, Urbana-Champaign before relocating to Northern California. Her life-long relationship with plants began with work as a nursery manager and buyer for retail and wholesale nurseries, and grew through years in landscape maintenance and construction, and as the in-house horticulturist for leading landscape architecture firms. Nancy collaborates on the schematic designs, leads the planting design, sourcing and procurement, and remains personally involved through planting installation and often for years after, providing ongoing horticultural support to our clients. After twenty years in the field, Nancy and Dave combined their complimentary skill sets and talents to form ROCHE+ROCHE Landscape Architecture in 2005. Their studio is located in the City of Sonoma, just blocks from the historic town square. In 2015, their design for Sweetwater Spectrum Residential Community for Adults with Autism was recognized at the chapter and national levels by the American Society of Landscape Architects. In November of 2016, they presented the project in an education session at the annual meeting of the ASLA in New Orleans. In 2017, the studio won another national level award from the American Society of Landscape Architects for their design of a residential estate in Sonoma, California. Salvador Dávila, Senior Landscape Architect, CLA #5772 made his home in Los Angeles for most of his life before moving to Northern California. 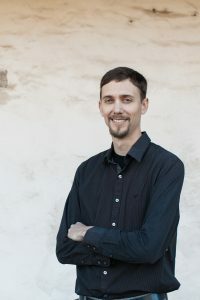 He earned a Bachelor of Science in Landscape Architecture at Cal Poly Pomona, and then went on to earn his MLA in Landscape Architecture with an emphasis on Urban Design at the University of California, Berkeley where he spent part of a semester studying in Venice, Italy. 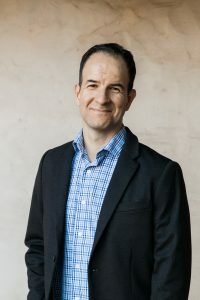 Salvador has over 15 years of experience at several multidisciplinary firms both in Southern California and Northern California on projects ranging from corporate campuses to public parks and plazas. Salvador joined us after relocating his family from the Bay Area to Sonoma, and brings highly valued project management, project delivery systems, and construction documentation expertise. 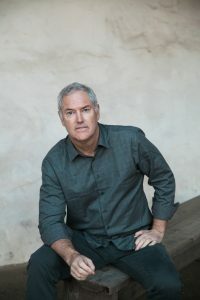 Iain Pryor, Landscape Designer was born and raised in the Sacramento area but has since solidified his roots in Sonoma. After earning his Bachelor of Science in Landscape Architecture at the University of California, Davis, Iain joined a design-build firm in the East Bay where he collaborated with the principal throughout the life of projects, including ASLA Northern California Chapter award-winners. Iain provides AutoCAD drafting, SketchUp 3D modeling, and project support for R+R projects of all scales.